When Did the WSOP Debut? - Casino Answers! Casino Answers » Poker » WSOP » When Did the WSOP Debut? When Did the WSOP Debut? The WSOP (World Series Of Poker) is one of the oldest, most prestigious and best known poker tournaments in the world today. Featuring a whole range of poker games and tables, it is the tournament that every poker player wants to win. The tournament was given a huge push by the movie Rounders and then an even bigger push by it’s popularity on ESPN with the debut of the hole card cams. In fact, the WSOP attracts more players than any other tournament and has done for some years now but where did it all start? The WSOP was first played in 1969, but was not known by that name initially. Instead, it was called the Texas Gambling Reunion and was sponsored by Tom Moore, a popular poker player of that era. Realising just how profitable and popular it could be, the tournament caught the attention of one Benny Binion, a casino owner and huge fan of the game. Binion took it on and made it the poker tournament that everyone in Las Vegas was talking about and playing in if they could. As such, it became the WSOP in 1970 at his casino, Binion’s horseshoe. The first WSOP featured a wide variety of poker games so that there was something for everyone. Texas Hold’Em, 7 Card Stud, 5 Card Stud, Razz, Deuce To Seven and Low Ball Draw were all played there but it was the former that became the crowning glory in the first ever Main Event, which Johnny Moss won. Although the format has changed since Binion’s vision became a reality, much remains the same. 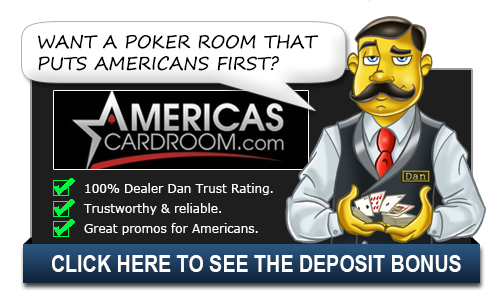 People may be able to win a seat online and become millionaires overnight if they win but it is still held in Las Vegas, attracts all of the best poker players the world over and is more prestigious than any other tournament. It is the crowning glory of poker and long may it remain so. The most wins in the World Series of Poker Main Event record is held by Stu Ungar who won this contest a record three times. Only would have to think that is a record that will never be broken as the World Series of Poker hasn’t gotten so much bigger over the years that the math of winning multiple titles just isn’t there. ,When Ungar won his third bracelet in 1997 there were just 312 entrants into the field. By 2018, there were 7,874 entrants into the field. The total amount of entrants in Ungar’s three wins? Only 460 people. Mathematically, the odds of him winning those three is so much greater than Johnny Cynn had to contend with in 2018 that it doesn’t even seem like the same tournament. The good thing for Cynn and other recent winners? The prize pool is much, much larger. The total winnings of Ungar’s three tournaments was just 1.76 million while Cynn won 8.8 million in 2018. That is a huge difference and one of the biggest prize pools taken down in history.